In this article, we will take a look at swagger codegen. It will save you a ton of work and pain by generating HTTP services automatically from your swagger API description. 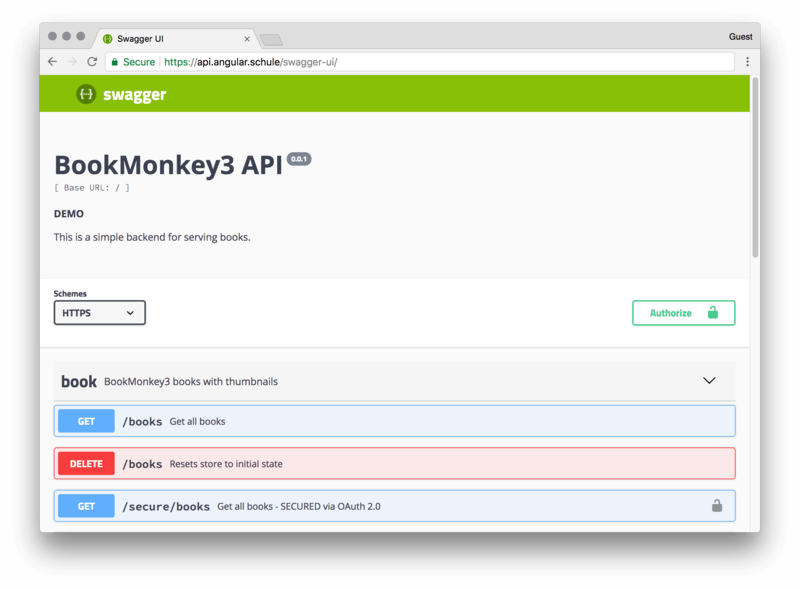 Swagger is the world’s largest framework of tools for the OpenAPI Specification (OAS). If you haven't added Swagger to your backend until now, you should do it now! It's the de-facto standard for re-usable and maintainable APIs. The toolset greatly eases the pain of documenting and interacting with APIs. It’s literally a Swiss army knife for all things APIs. But in this article we are not going to talk about your backend. Let's assume your API is specified with Swagger and that we can focus on your Angular frontend. I'm pretty sure nobody wants to write boring plumping code by hand and manually sync changes between backend and frontend over and over again. So, how can we use the API documentation to generate code automatically? We are interested in the typescript-angular code generator, of course. Yes, the tool is written in Java. But our final Angular code will not include any piece of Java at all. I promise you! First of all, you need the compiled generator: swagger-codegen-cli.jar. At the time of writing, v2.3.1 was stable. The code generator inspects the OpenAPI specification and writes a perfect API client for you. That's it! No more work by a human. Please feel free to explore it via Swagger UI. -c or --config defines the path to an additional JSON configuration file. Supported options can be different for each language. We will look at this argument in the paragraph. Please type java -jar swagger-codegen-cli.jar help generate for a full explanation. We should explore the configuration options for the angular-typescript codegen. These options are specific to the generator. npmName: The name under which you want to publish generated npm package. Hint: You have to define a name here, or some files related to a proper npm package will be skipped and the generated README.md won't make that much sense! This is by design, see also #6369.
snapshot: When setting this to true the version will be suffixed with -SNAPSHOT.yyyyMMddHHmm. This is very handy if you want to have unique package names to publish. ngVersion: The version of angular that will be required by the generated package.json. It's a good idea to align this version with the angular version of your main app. The default is 4.3. A version smaller than 4.3 yields to the generation of the obsolete HttpService (German blogpost). Set the npmRepository option. This will define a publishConfig.registry entry in the package.json. Use a npmName with a scope (e.g. @angular-schule/book-monkey-api) By default, scoped packages are private on npmjs.com. You have to explicelty make them public with --access=public. A scope can be easily redirected to a private registry, too. See this document for more information. You will see that this is a complete angular project with all required config files and typescript files to create an angular package. It's a crazy world and unlike every other angular package we have to compile this again. Now everything is prepared to finally publish the package to NPM or a private repository. You have to import both: the HttpClientModule from Angular as well as our generated ApiModule. You might wonder why HttpClientModule is included here. One could think that ApiModule should do that import for us, but this can lead to a strange but intended behaviour of Angular (see issue #20575). The usage of the generated API is straightforward. Every REST operation has its own method. For example, if we want to get a list of all books, then we can simply import the BookService and call the corresponding method. 🎉 Congratulations! We have mastered a journey for automatically generated api code. Your project will benefit from less errors and more harmony between team members, who can concentrate on real solutions instead of boring boilerplate code. Now it should be your task to automate the code generation on you CI system. On every (relevant) change of the backend you should also generate a new client. To upgrade to the latest version in your consuming Angular project, you just need to call npm install PACKAGE_NAME --save again. Sooner or later everybody wants to customise some aspects of the generated code. You can change most parts by modifying the mustache-templates. -t or --template-dir defines a folder containing own template files. If specified, those templates files will be used instead of the inbuilt versions. You can start by modifying the original ones from Github. You might want to use the very latest version directly from Github. Or you might want to contribute to the codegen -- that would be a great idea! All in all, a first start isn't that complicated, since everything is nicely prepared with Maven. It's important to know that you have to use Java 7 or 8. It won't compile with Java 9.